How to Work Efficiently with Zoho CRM Calendar. For every busy sales professional or business owner, calendar management is mission critical. A single missed appointment could break a deal that you worked so hard on. Given that your calendar is so full of appointments already, let's look at some tips on how you can find some peace in the chaos. Set clear preferences to keep your calendar clutter-free. That's right. Don't clutter your calendar with events that don't matter to you. For example, your calendar might show the past events or events that you have declined. 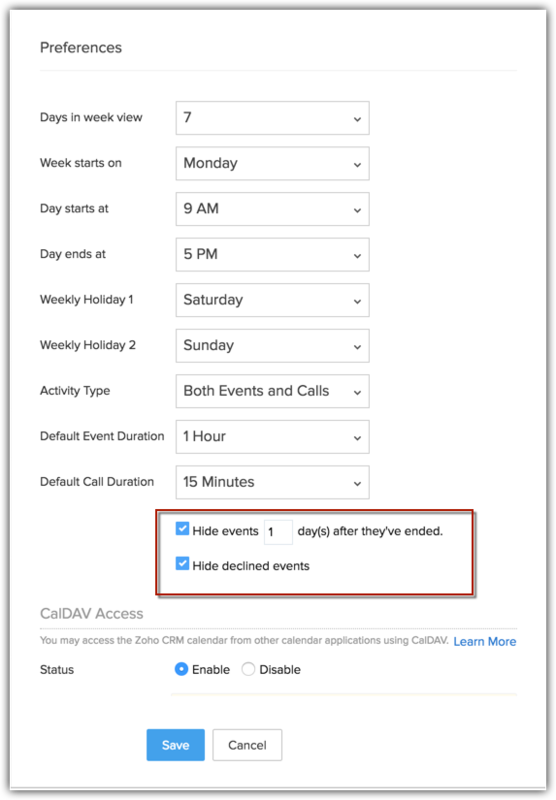 Go to Calendar preferences and enable the check-box to hide events that have ended and events that you have declined. You can make use of the different views in calendar such as Day, Week and Month for more clarity. You can also view other users' events as per the role hierarchy in Zoho CRM. 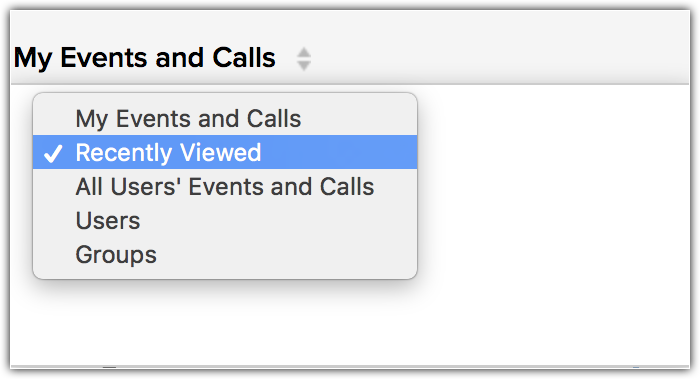 Click on the My Events & Calls drop-down list and choose from the list of views to see other users' events. By switching between different views, you will be able to plan and schedule your events more carefully. Don't rely on multiple calendars. Niece's birthday party and client meeting falling on the same day - which one is more important? Tough choice, indeed! Your personal events could be as important (or even more) as your business meetings. It is always safe to manage a single calendar, rather than having too many to avoid overlapping events. Zoho CRM supports Calendar synchronization with any iOS device (iPhone, iPad, MacBook as well as Apple Watch) via CalDAV configuration. The result – any event that you create in Zoho CRM will be synchronized with your iOS Calendar and vice versa.